The idea of a Canada-U.S. security perimeter is not new. Various bilateral actions over the last number of years have further laid the groundwork for this concept to become a reality. In 2006,the renewal of NORAD added maritime warning missions to its existing duties, in an effort to address new and emerging continental threats. The U.S. and Canadian military signed the Civil Assistance Plan in 2008, which allows the armed forces of one nation to support the other during an emergency. Under the Shiprider program that became permanent in 2009, law enforcement officials from both countries are able to operate together in shared waterways to combat criminal activity. Other joint projects have also facilitated the move towards a common security perimeter. In July of this year, Public Safety Minister Vic Toews and U.S. Department of Homeland Security Secretary Janet Napolitano announced new cooperative initiatives to combat threats and expedite travel and trade. It appears as if some of SPP's security priorities have been incorporated into the proposed Canada-U.S. perimeter agreement. CTV News has obtained a draft copy of the Canada-U.S. deal which reveals that both nations, “intend to pursue a perimeter approach to security, working together within, at, and away from the borders of our two countries in a way that supports economic competitiveness, job creation and prosperity, and in a partnership to enhance our security and accelerate the legitimate flow of people and goods between our two countries.” The proposed agreement covers shared border management issues, such as an integrated cargo security strategy, a joint approach to port and border security and screening, as well as cross-border sharing of information between law enforcement agencies. CTV also reported that according to, “the Canada-U.S. deal dubbed Beyond the Border: A Shared Vision for Perimeter Security and Competitiveness, implementation would be handled by a newly created Beyond the Border Working Group.” A common security perimeter could force Canada to harmonize its immigration and refugee policies with the U.S. which would further undermine its sovereignty. It might also allow the U.S. to execute control of Canada in the advent of a terrorist attack or any other perceived threat to North America. The Council of Canadians who were instrumental in exposing the SPP, have criticized the notion of a continental security perimeter as being unnecessary and invasive. A Press Release acknowledged that, “Since 2001, U.S. security demands of its two neighbours persistently intruded on the privacy and real security needs of the public.” It went on to say, “harmonization efforts have violated civil liberties while not improving trade flows between Canada and the United States in the slightest.” Stuart Trew, trade campaigner with the Council of Canadians stated, “We've gone down this road before -- it was called the Security and Prosperity Partnership -- and North Americans rejected it.” He also added, “Canada has armed and secured itself to the teeth to satisfy the U.S. but no new perimeter plan can bring the U.S. economy back to life. That's the real reason trade is down across the border.” The Council of Canadians is, “demanding the Harper government give parliament and the public a chance to see and debate the New Border Vision before Canada signs anything.” The Conservatives plan could be a hard sell as there is already a growing opposition and this may prompt them to play the fear card. Canada is scheduled to host the North American Foreign Ministers Meeting on December 13. Foreign Affairs Minister Lawrence Cannon explained how the gathering, “is a key forum for identifying trilateral priorities and ways we can work together as partners in North America.” He went on to say, “It also represents an opportunity to engage in bilateral discussions with Secretary of State Hillary Rodham Clinton and Secretary of Foreign Affairs Patricia Espinosa.” The trilateral meeting will address issues such as, “the state of the economy and North American prosperity, international security, energy and climate change, the health and safety of citizens, and matters concerning the western hemisphere as a whole.” The proposed Canada-U.S. security perimeter deal could also be on the agenda. In March, the U.S. and Mexico also announced similar plans for a New Border Vision. At the recent G20 Summit held in South Korea, Mexican President Felipe Calderon met with Canadian Prime Minister Stephen Harper. According to the Embassy of Mexico in Canada website they, “agreed on the importance of the next North America Leaders’ Summit, to be held in Canada at the beginning of year 2011. They underlined their shared will to promote regional cooperation in fields like competitiveness, security and environment, among others.” Although there was no leaders summit this year, President Calderon did make separate trips to the U.S. and Canada to strengthen NAFTA ties. Other key elements of the SPP also continued under the radar through various bilateral initiatives and further advanced North American integration. 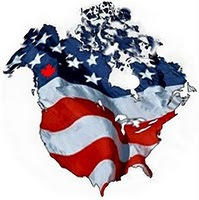 It is being reported that the proposed Canada-U.S. trade and security agreement could be announced in January. A leaders summit in early 2011, could be used as an opportunity to unveil a continental security perimeter that includes both the northern and southern borders which in many ways would signify the coronation of the North American Union.